This is the original Acrylic painting by 20th Century unidentified artist. 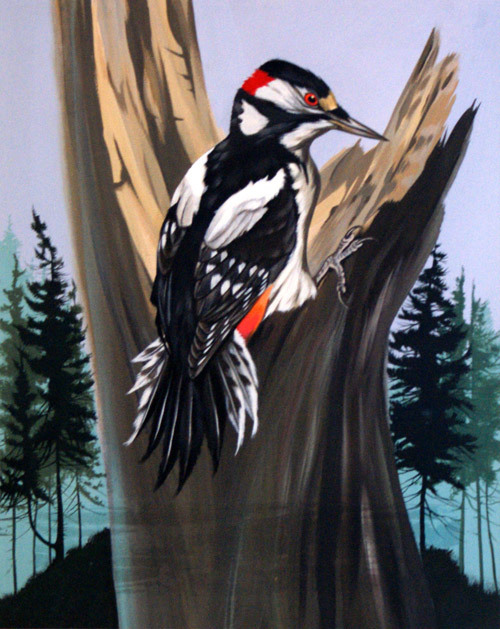 The Great Spotted Woodpecker is a bird species of the woodpecker family. It is distributed throughout Europe and northern Asia. 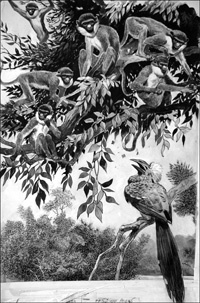 A perfect illustration for any bird fancier or ornithologist.